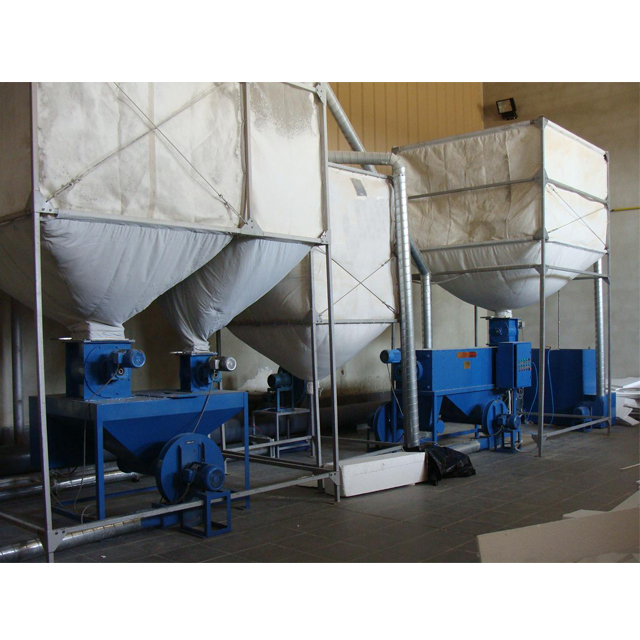 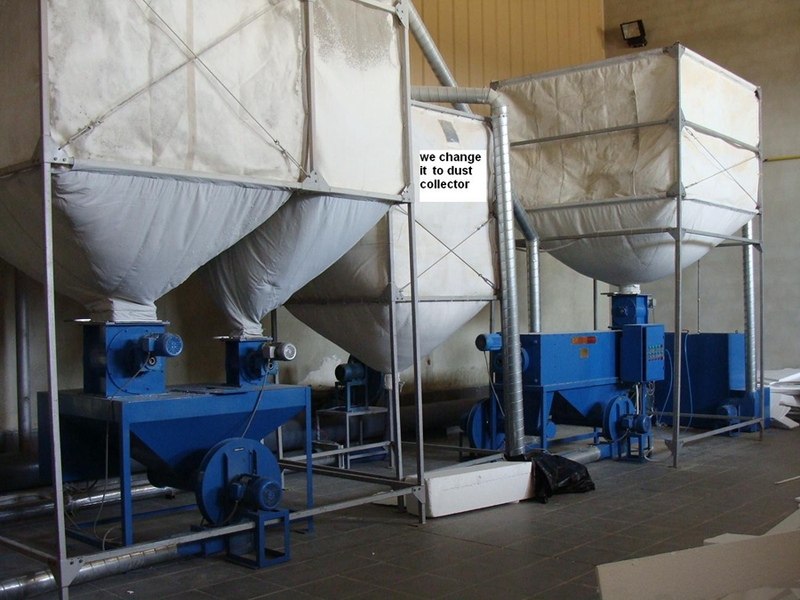 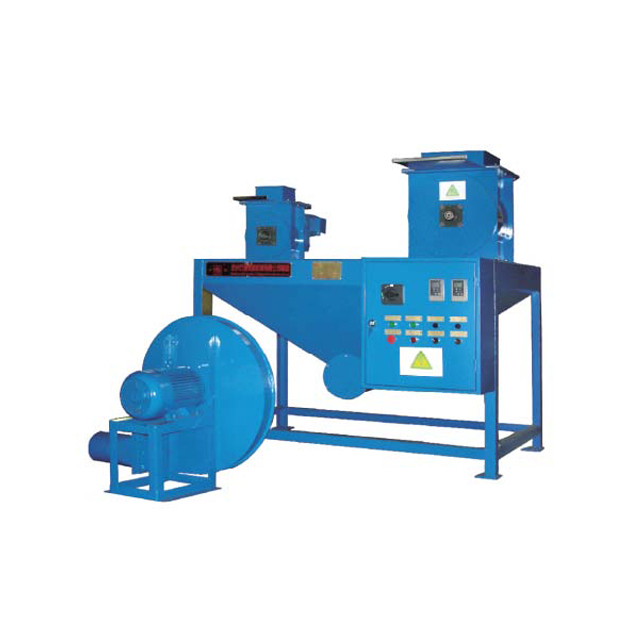 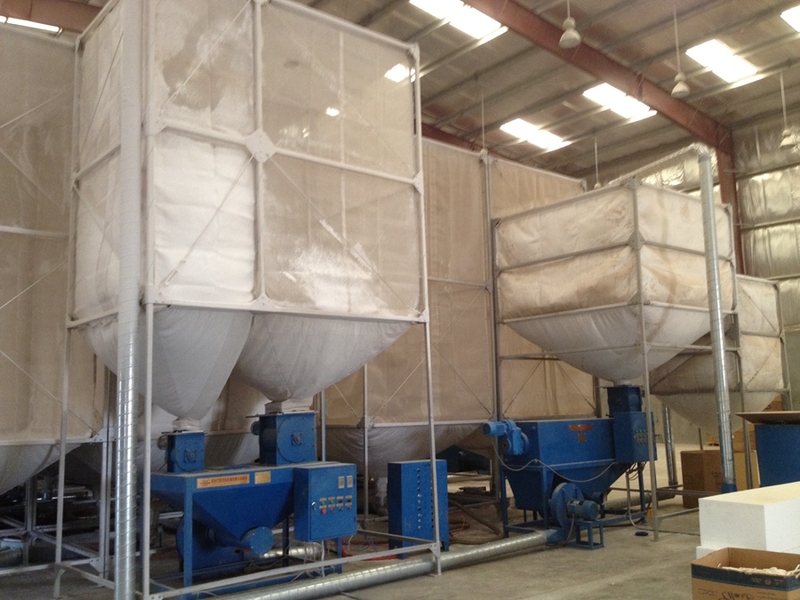 Our EPS recycling system consists of crusher, de-duster and mixer. 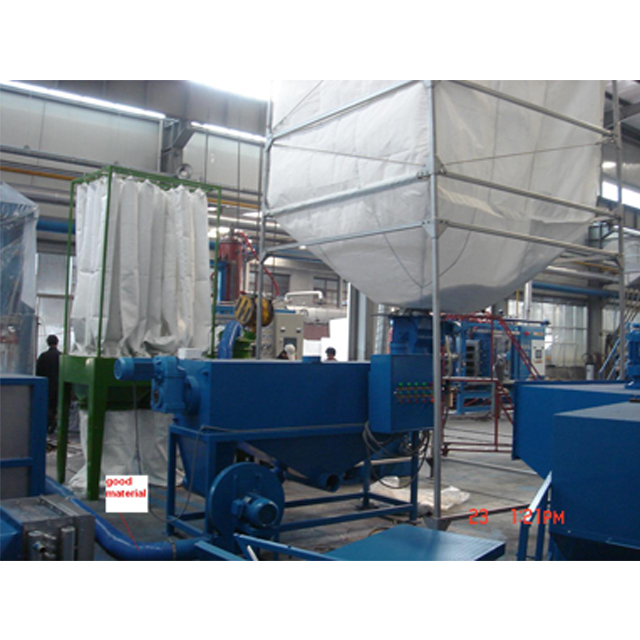 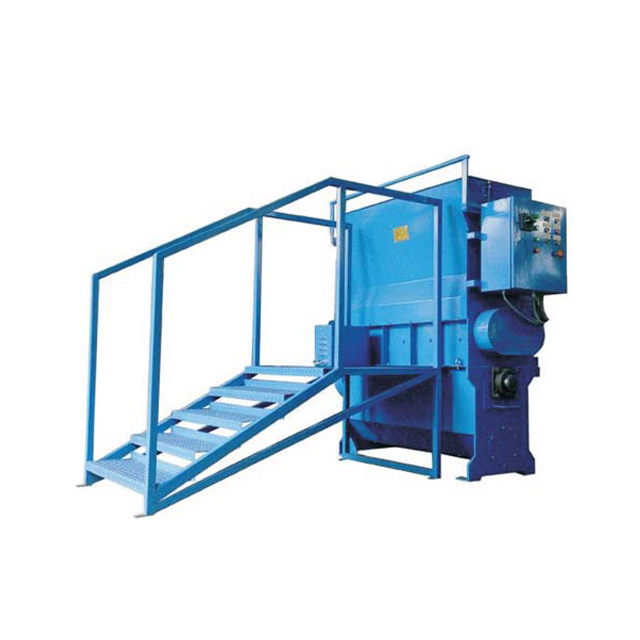 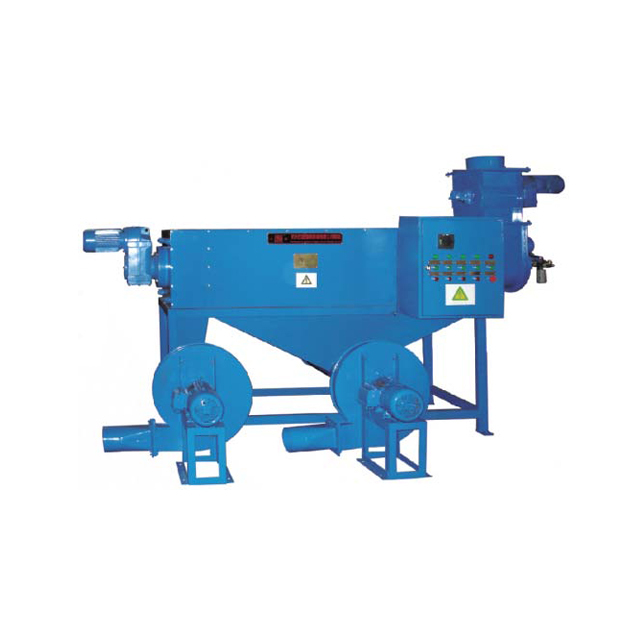 The crushing machine smashes wasted EPS products or EPS scraps into granules, then it goes through the de-duster to sieve and remove the dust. 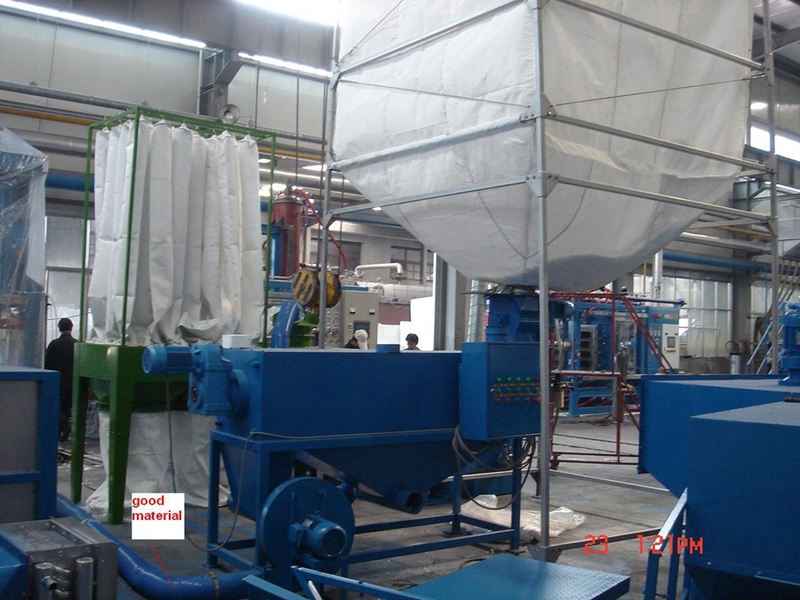 After sieving and de-dusting, the recycling material is mixed with virgin material according to the pre defined proportion, and can be used in both EPS shape moulding machine and EPS block molding machine.The thermocol recycling system polystyrene’s structure is reasonable and solid. The EPS polystyrene recycling system is also easy to operate and maintain. 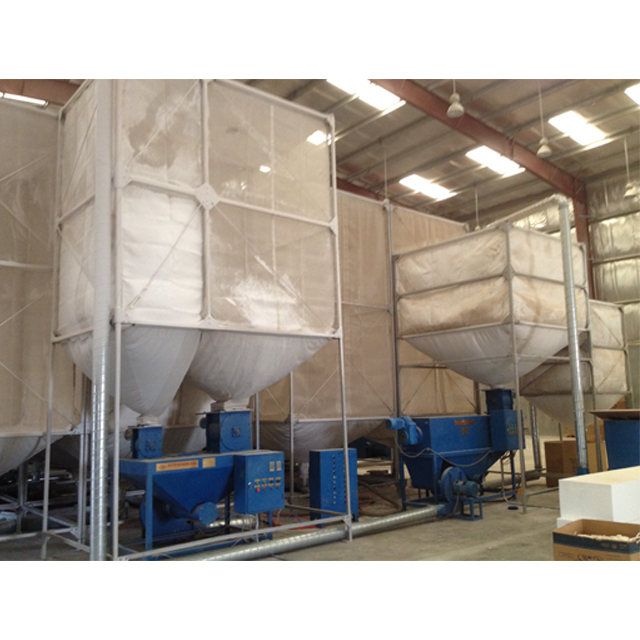 High technical content and stable performance make our EPS styrofoam recycling system popular in many countries.